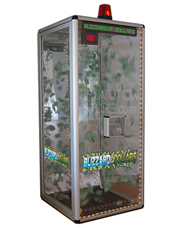 The Blizzard of Bucks Hardcase is designed for portability and functionality! 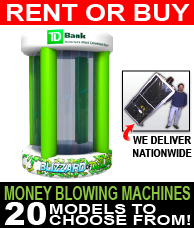 The Blizzard of Bucks money machine includes proprietary technology that keeps the money circulating and prevents "piling up", a common problem in cheaper models made by our competitors. 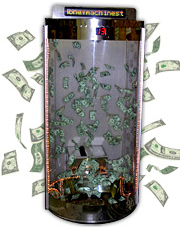 Our Hard Case Blizzard of Bucks money machines are the ultimate in convenience, durability, and ease of use. 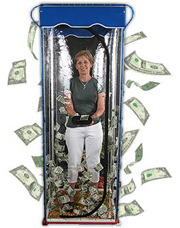 The Light Weight Traveling Money Machine is always ready to travel! Attractive, rugged built in carrying case with brushed aluminum finish. 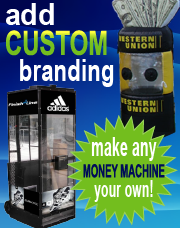 Custom Graphics: your logo and text on three sides of the top printed in full 4 color on rigid, light-weight sign board. 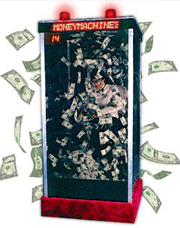 and the functionality of a full size machine! 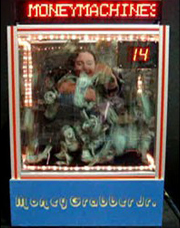 This table top grabber is absolutely perfect for those events with limited space and smaller budgets. 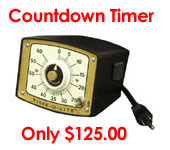 This unit contains digital timer and attractive flashing side lighting. 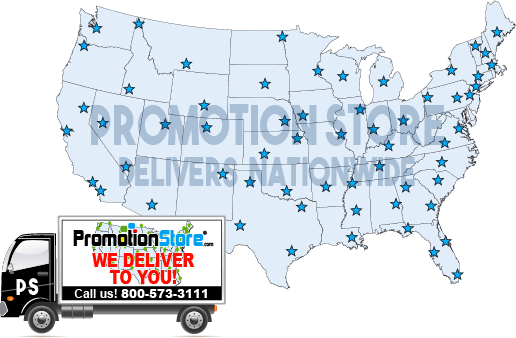 Unit can be shipped UPS. 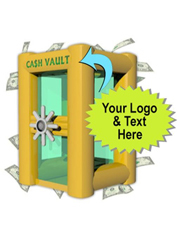 32" x 32" x 30.5"
Custom Graphics: Your logo and text on three sides of the top printed in full 4 colors on rigid, light-weight sign board. visually appealing from every angle! 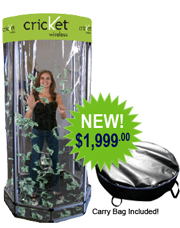 It has a Lexan clear shell that is strong and impact resistant. 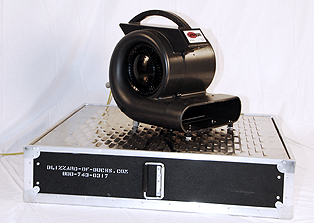 The body is made of laser-cut steel, providing unbeatable quality. 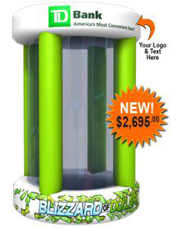 The top LCD display can be customized to show your personal announcement. 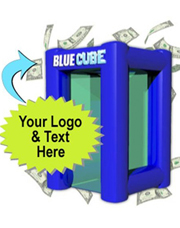 The Deluxe Circular Cash Cube can be set up and moved by one person. 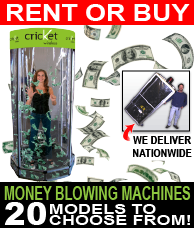 The design also features automatic blowers to go off when you set them. 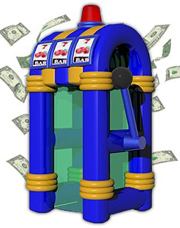 This machine is truly a classic in the making. 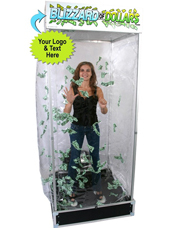 Space Req: 32.5" x 44" x 93"
Few promotional products have the versatility and allure of the Money Booth Machine & Inflatable Cash Cubes. 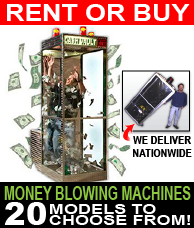 And we at Money Machine 4 Rent.com consider the money machine to be Ranked #1 as the Ultimate Promotional Tool!